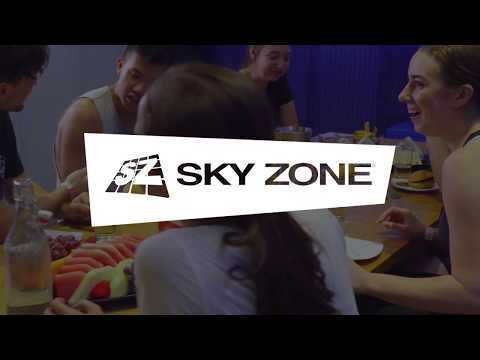 Introducing the Sky Zone AirTime Pass - 30 jump sessions in 30 days for only 50 bucks! Yes!! You can play everyday for under $2. So let the kids Eat, Sleep, jump Repeat - while you enjoy an extra few hours "me" time. 1. Click Book Now below, then pick the date and time of your first 1 hour jumping session on your 30 AirTime Pass. CONGRATULATIONS! You are now the holder of a Sky Zone AirTime Pass. You'll be able to collect your physical AirTime Pass from our team at Sky Zone reception when you arrive for your first jump. Please note that all following jumps will be walk in only & subject to availability. Terms & Conditions: Subject to session availability. Valid for 30 one hour jump sessions. Only card holder can redeem jump sessions. Cannot be used in conjunction with any other offer. No more than three one hour jump sessions to be redeemed per day. Valid 30 days from first jumping session. The AirTime Pass should be treated like cash, there is no replacement of lost cards. The first session may be booked online, all sessions afterwards are only available as walk-in only.